Step1. Edit/ Update the customer order first as necessary. In this example, we added Gnarly Shoes to the original order. Step2. 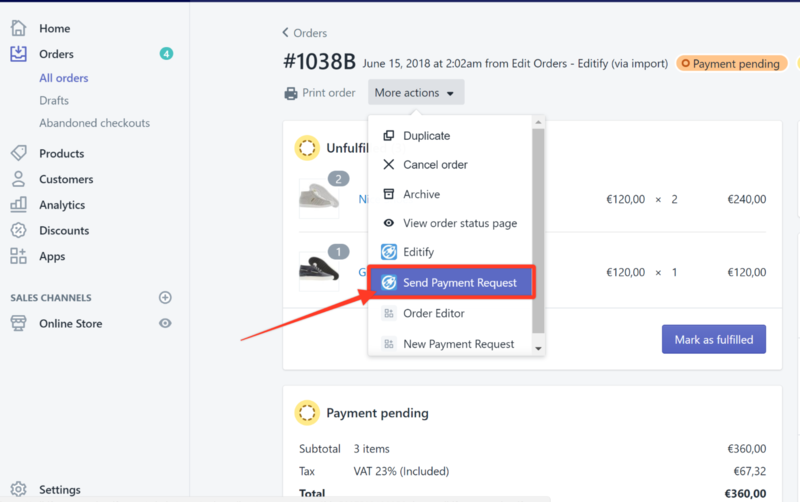 Click the More Actions drop-down arrow and choose Send Payment Request. Step3. Review and edit the customer information if necessary and then click Send Payment Request. Step4. 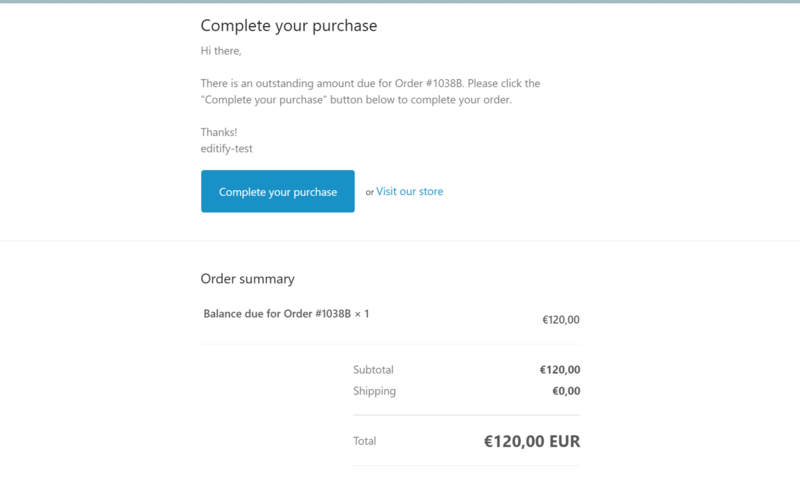 The customer will then receive the request through email and will have the option to pay through your online store or by clicking the Complete your purchase button. Step5. 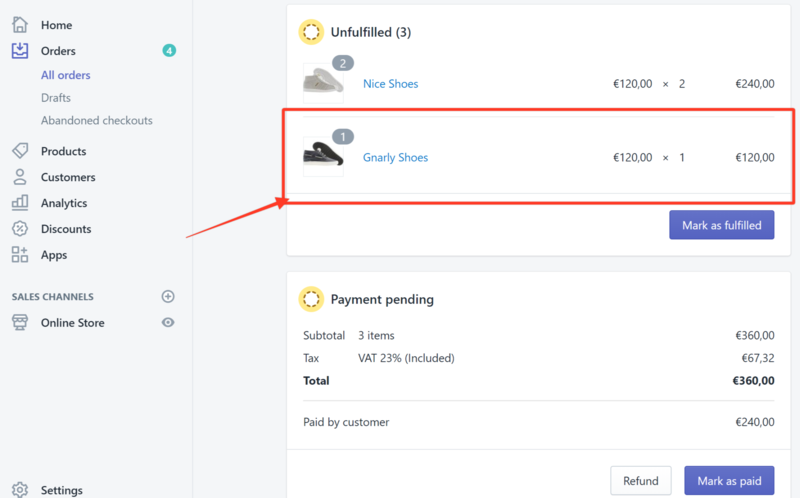 After the customer submits his payment, it will then be automatically marked as paid.